Function first, then form. If you’re creating a book, how will it be used—will it be flipped through quickly, or will users need to spend more time on each page, potentially with the book open and flat? If the piece is being folded, how should the reader experience it as it’s open. The paper is folded in half and assembled by nestling each inside the other. Signatures (folded sheets) may be stapled or stitched at the spine. Page count must be in multiples of four because when you fold a sheet of paper in half, you have four surfaces to consider—front, inside front, inside back, back. A good option when the piece needs to open flat while the user is reading or writing. Individual sheets are stacked and bound with a wire or plastic spiral material at the spine. A good option for high page counts and when the book needs to open flat. Individual sheets are stacked and bound with glue at the spine. A good option for high page counts, high quantity units and when the book does not have to open completely flat. Perfect bound pages are typically assembled using folded signatures. The pages are printed on a large press sheet, folded in a particular order, inserted into the covers and trimmed after binding. Folding the signatures eliminates a considerable amount of individual page collation time. However, you may be sacrificing a little bit of page-to-page alignment and registration of critical design elements. Inform your print representative in your print specs if page-to-page registration is a top priority. That way, they can suggest the best options for how the printer & bindery should handle the signatures. Different formats of folding can be a great way for your reader to experience the content. There are numerous ways to fold a sheet so get creative with different formats other than the typical tri-fold. In the initial phases of design, I find it helpful to make miniature mock-ups on blank paper scaled proportionately from the actual size. This helps to start thinking of the physical piece to guide the order of which the content should be read. It’s also a great tool to reference “flat” versus “folded” relationships among elements in your digital file throughout the life of a project. 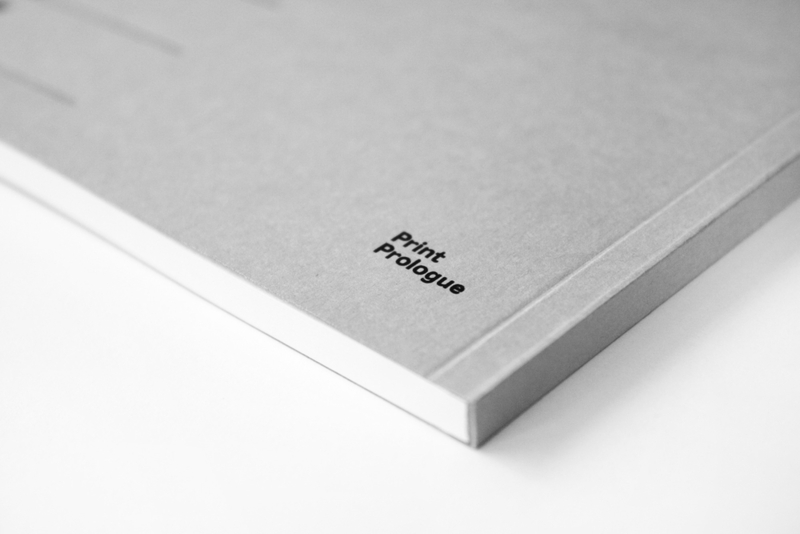 Print Prologue notebooks are perfect bound for durability and longevity. Since a primary goal was to produce a notebook with multi-subject customization for ease of use and archiving, the books needed to have a certain thickness. This eliminated saddle-stitching as an option. The result is a notebook that sits well on a bookshelf and has a long shelf-life.